Well, sort of simple. The necktie is yet another Jos A Bank Signature. It's a really thick, unwieldy tie that has a mind of its own. I doubt this one will make it out of the closet again because it's just too stiff. 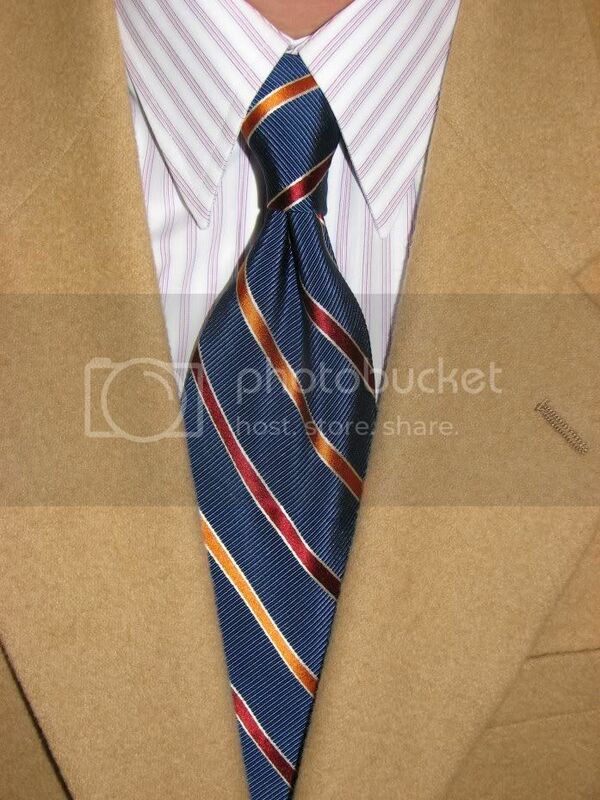 The dress shirt is a red and blue striped point collar. I really didn't want to put the navy coat over the top of this pair so I conglomerated it with the tan coat. I think it works.